Holistic Dentistry Archives - Page 4 of 8 - Stephen A. Lawrence, D.D.S. Inc. Dental Amalgams linked to Chronic illnesses, Fatigue, Depression, Anxiety, and Suicide. A recent medical study found evidence supporting a link between dental amalgam fillings and chronic illness, fatigue, depression, anxiety, and suicide. Neuro Endocrinol Lett. 2014 Dec;35(7): 537-52. by Kern, J.K…. 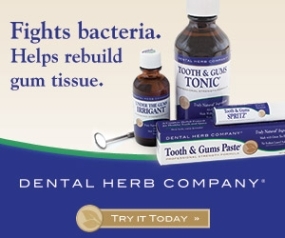 Dental Herb Company products now come in singles!